Thompson shot 13-for-17 from the floor and made six 3-pointers, despite making a quiet start, which was limited to just 3:57 in the first quarter because of early foul trouble. 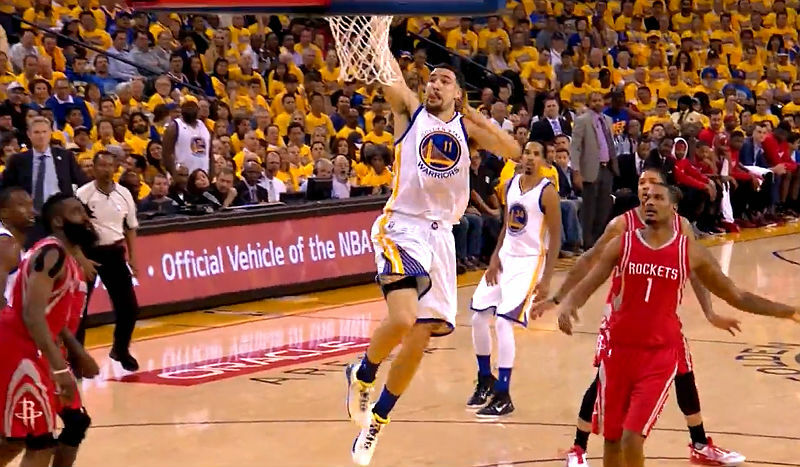 “West finals two years in a row, it’s been a special, special season,” Thompson said. Curry, playing his game since securing all the votes to win back-to-back NBA regular season MVP award, went 10-for-20 from the field overall, scored 14 of his total points in the fourth quarter and dished out 11 assists at ORACLE Arena. Draymond Green chipped in with 13 points, 11 rebounds and six assists for the defending champions who are not resting to face the winner of the San Antonio Spurs and Oklahoma City Thunder series. Damian Lillard scored 28 points, seven rebounds and seven assists and knocked down all 12 of his free throw to lead the way for Portland. He, however, was just 7-for-24 on shooting from the floor. CJ McCollum added 27 points, Allen Crabbe scored 20 points with five 3-pointers, while Al-Farouq Aminu ended with 16 points and nine rebounds for the Trail Blazers, who took 92 shots in the game and made 38. Golden State shot 51.2 percent from the field on 43-for-84 shooting. After trailing for most of the contest, Portland pulled with two with 1:21 left with the score at 118-116 for the home side. However, Curry stepped back jumper for 3-point with 24.9 seconds left sealed the deal for the Warriors, who went up by five at that stage. Golden State is now seeking its second successive Western Conference title, as it looks to defend the NBA title next month.